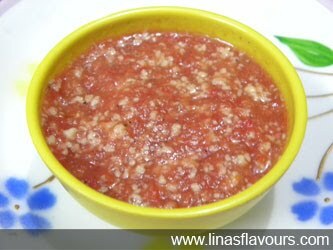 Take a pan, add tomato puree, salt, garlic paste, red chilly powder and cook it for 5-6 minutes. Switch off the gas stove. Add grated cheese and mix it well.